The scent of roasting coffee was malty, then smoky, then tart. Freshly roasted beans, enticed the whole restaurant. Our tummies rumbled at the thought of it. 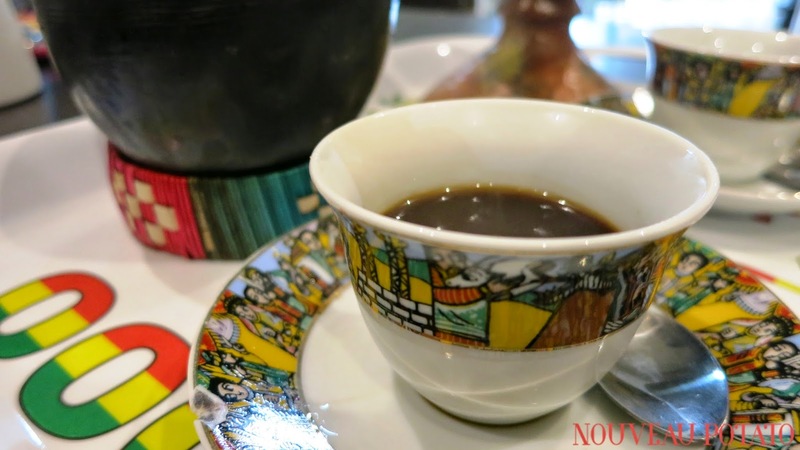 Dad and I had decided to try Konjo after its write up in The Age (noted for being authentic and good value, with traditional coffee that takes 20 minutes to make but is oh-so-worth-it), and were up for an adventure to Africa on that afternoon. 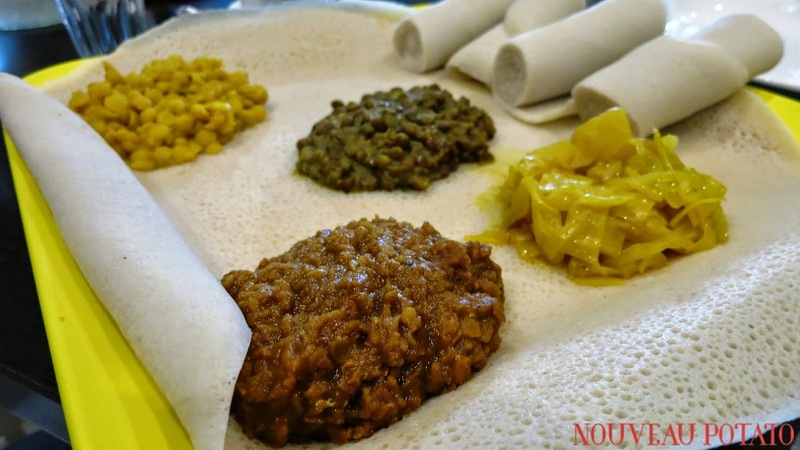 My last experience with Ethiopian cuisine was in Paris – large plates with the yoghurt flat bread upon which different stewed veggies were piled. Konjo was a similar experience but the bread was springier, the curries more flavoursome, the servings larger, the prices cheaper, the service friendlier and more down-to-earth. The vegetable combination was a series of pulses: buttery and soft green lentils, earthy split peas, spicy split red lentils, and sweet cabbage. It was hard to discern all the flavours put into each, and much better to just dig my hand in and enjoy. Dad enjoyed his dishes so much that he became teary as I explained to the waitress how much he enjoyed it. The staff were so lovely, relaxed and hospitable. As friends, family and locals came in speaking in their tongue, we felt that we were travelling without leaving Melbourne. I wondered about Ethiopian manners while eating. My only experience of eating with the hands was in India, and I had learnt how to eat with the right hand only. Apparently in Ethiopia it is the same, although there were not enough diners in eye view for me to copy their techniques. It was clear that coffee is a ritual. We ordered it first, but were not offered it until the end of our delicious meal. It arrived in an earthenware pitcher with incense smoking into our faces. The coffee had a certain grittiness and was strong. Neither of us were game to finish the filled pot despite enjoying it immensely. The meal ended with us deciding we need to make more multi-culturalism in Melbourne. One may not be able to travel the world every day, but being transported to another culture is easy.